This story will resonate with any kid struggling with today’s problems of working parents, peer pressure, competition and disappointment. With the help of a wise Owl, Benny learns the tools and techniques of the ancient Medicine Wheel to help him cope with the emotional toll often felt in an ever changing world. Benny Moon wants to be a motocross champion. Benny Moon comes from a long line of champion racers. As the big race approaches, Benny feels lost and lonely. His father leaves home, his mother is always working, and a fellow racer bullies Benny on the track. When Benny believes his thirteenth birthday has been forgotten, he runs away from home. Deep in the woods, Benny is befriended by an owl who takes him on a magical adventure around the Native American Medicine Wheel. With a touch of Owl's wing, Benny flies off to meet his animal spirit guides. An Eagle, a Coyote, a Bear and a Buffalo help Benny solve problems and cope with feelings of loneliness, disappointment and anger. 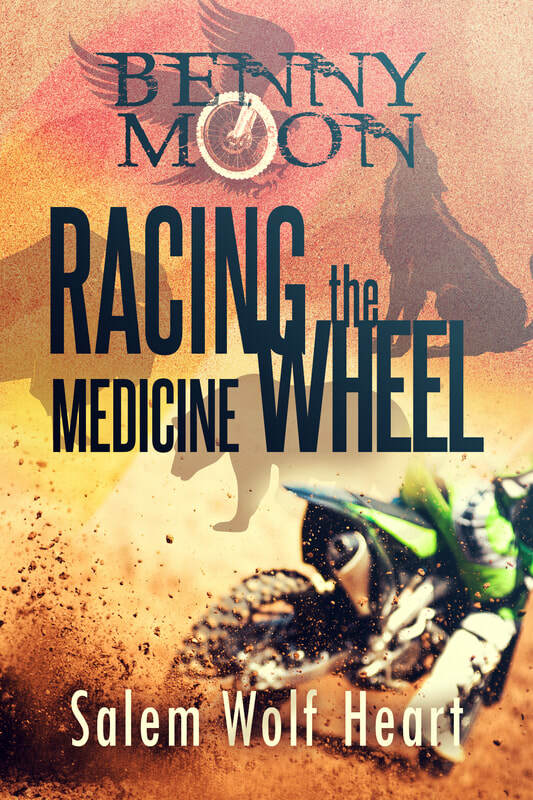 Join Benny as he races the Medicine Wheel and learns how to win--on the track and in his life. Salem Wolf Heart began writing in 2014. Earning a Bachelor of Science in Psychology, Salem is a graduate of the Kent-Cook Institute as a Certified Spiritual Healer. She's a Reiki Master, Shamanic Practitioner, and teacher. Migrating from New York to the sunny South, Salem resides in North Carolina near beautiful Lake Norman. ​She's currently working on the next book in the Benny Moon series.